Antimicrobial-resistant Gram-negative bacteria continue to challenge clinicians. Several pathogens have been identified by the CDC and WHO that present serious healthcare threats, including ESBL-producing and carbapenem-resistant Enterobacteriaceae as well as multidrug-resistant P. aeruginosa. Addressing the issue of antimicrobial resistance requires a multifaceted approach that involves timely diagnosis and optimal use of traditional and newer antimicrobials that overcome various mechanisms of resistance. Healthcare providers involved in the management of serious bacterial infections must stay up-to-date on evidence-based approaches to optimize patient care. This program reviews the current landscape of priority Gram-negative bacteria and provide guidance on utilizing rapid diagnostic approaches and newer antimicrobial agents aimed at improving clinical outcomes. Addressing the challenges of priority Gram-negative bacteria requires an interprofessional approach that includes all healthcare providers involved in the prevention, diagnosis, and management of patients with or at risk for these infections. Therefore, this continuing medical education activity targets a variety of healthcare providers that include ID physicians, infection control specialists, hospital epidemiologists, hospitalists, clinical microbiologists, nurses, and clinical pharmacists. This Online Presentation is based on the Satellite Symposium presented at ASM Microbe in Atlanta, GA on June 9, 2018. This activity has been planned and implemented in accordance with the accreditation requirements and policies of the Accreditation Council for Continuing Medical Education through the joint providership of Center for Independent Healthcare Education (Center) and Vemco MedEd. 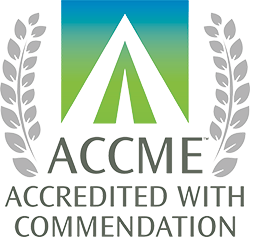 Center is accredited by the Accreditation Council for Continuing Medical Education to provide continuing medical education for physicians. Center designates this Enduring material for a maximum of 1.25 AMA PRA Category 1 Credit(s)™. Physicians should claim only the credit commensurate with the extent of their participation in the activity. Center for Independent Healthcare Education is accredited by the Accreditation Council for Pharmacy Education as a provider for continuing pharmacy education. Center has assigned 1.25 contact hours (0.125 CEUs) of continuing pharmacy education credits for participating in this activity. Physicians: Certificate of Credit will be emailed to you within 4 weeks. By clicking below, I acknowledge that I have read the entire CME/CPE information.